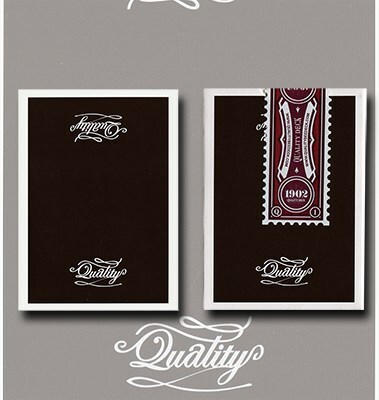 Collector's Edition Quality Brown Playing Cards. Made according to the 1970s casino-style, reaching 85% of a Jerry's Nugget deck feel. Front and back of the tuck case have the card back design, with a unique 68mm serrated retro seal. These cards are very suited for Cardistry and Florishing. They fan well right out of the box, and the edges of the deck are exceptionally smooth and cleanly cut. High quality stock makes this deck more durable. Printed by Expert Playing Card Company, LLC. Excellent FINISH.